My 4-H project was a chestnut-colored horse with a droopy lower lip. He was kind of goofy, but his presence meant access to the Issaquah Saddle-lights and all the benefits afforded a kid to a sense of belonging. And belong we did. I kept a meticulous record book, competed in shows, gave public presentations and along the way learned a little bit more about myself. I didn't know that, of course. I just had fun being with like-minded people doing similar things with their own horses and ponies. But a door was opened, and I never forgot the subconscious lessons I learned in 4-H. How could I? They've been with me every day of the 30 years since. "The vision most people have of 4-H is one of livestock and agriculture, and that's still accurate, to a point," said Kay Shoemaker, 4-H Youth Development Agent for Alaska. 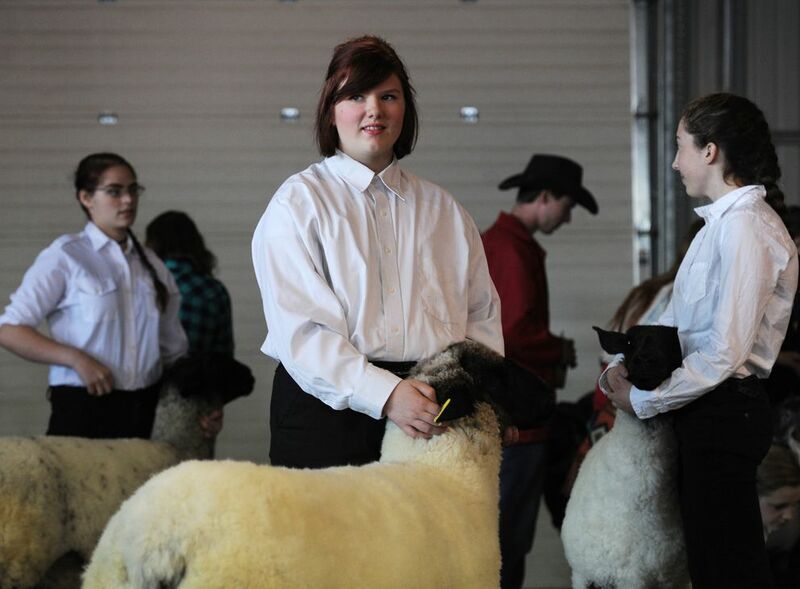 "The traditional tenets that set 4-H on its way are still very much alive," she said. "But the organization also has very much evolved to meet the changing times." 4-H was created to adapt with changing times a century ago. In the late 1800s, researchers discovered adults in traditional farming communities did not readily accept new agricultural developments on university campuses. What they did find, however, were young people who were open to new thinking and who would readily experiment with new ideas and share the outcomes with their own communities. By 1924 a cooperative extension system had been created under the United States Department of Agriculture to create a national 4-H club program, and the famous cloverleaf emblem and mantra of Head-Heart-Hands-Health had been adopted. My mother was one of the kids who benefited from the 4-H connection between her family's rural Montana ranch and the nearest city 20 miles away. Now 82, she recalls fondly projects centering around cattle, sewing and food preparation with her five siblings. 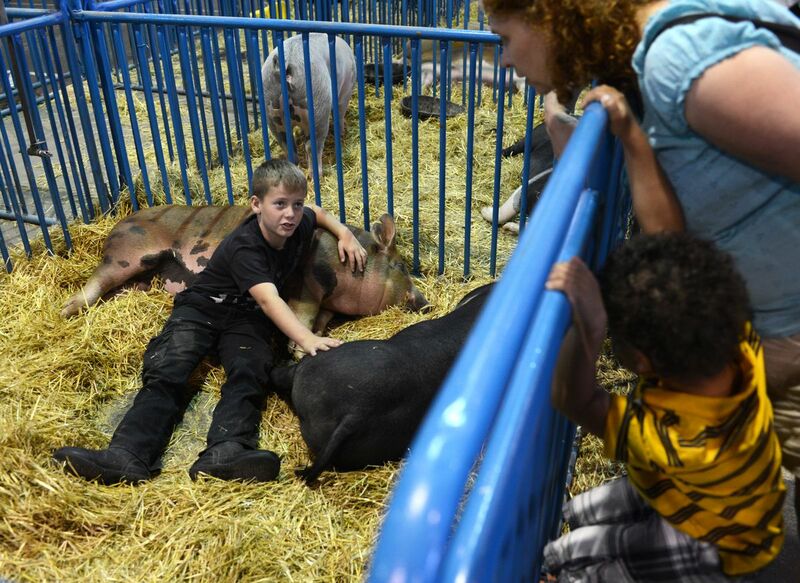 "All of us country kids were in 4-H," she told me last week. "And it was really one of the only ways to spend time with our friends who often lived miles away. We had such fun together." Today's 4-H system serves 6 million kids between the ages of 5 and 18 in 50 countries. With 3,000 local offices in the United States, including Alaska, 4-H has expanded to include a wide range of interests. The largest youth-centered organization in the country, 4-H is managed from a national office in Maryland but led on the ground by adult volunteers who participate in a rigorous certification process. It is as diverse as our country itself. Shoemaker knows young people, and she knows it takes more than a good idea to keep kids engaged, especially with words like "healthy lifestyles, citizenship, and communications" floating around their heads. "What we want," she said, "is to create a place-based environment, with supportive adults around, that's going to fill the gaps in our current social climate." That means an active cadre of adults who surround 4-H'ers with connections to their particular passions. Alaska is unique in that many clubs focus on projects with a particular cultural relevance, meaning no two will look the same. Where one group of kids may be interested in subsistence lifestyles, others may focus on shooting sports, archery or livestock. The key is embracing what kids are interested in and fostering their development. Shoemaker says if five or more kids want to form a club, she'll help make it happen. Dues are $25 a year, and if a kid can't afford that, scholarships are available. Currently, nearly 800 kids are enrolled in Alaska 4-H, from the Arctic coast to Southeast. Schools benefit from 4-H as well, with 60 schools taking part in STEM-related activities sponsored in part by the organization, like Salmon in the Classroom, Schools on Trails and other community-based programs. Programs operate at Covenant House and Benny Benson School in Anchorage, and there's even a 4-H program specifically designed for children of military service members. Shoemaker was busy when I pulled up to the Jewel Jones Community Center in Mountain View, part of Cook Inlet Housing. Every week, Shoemaker and her Mountain View 4-H club meet at the center for dinner and an activity. "We do hands-on projects in science, talk about healthy lifestyles, citizenship, communications and teamwork," she said while jockeying a suitcase of board games and a bag of books. "But it's also spring and time to talk gardens." The kids range in age from elementary to middle school, and Shoemaker typically weaves a component of the outdoors and nature into every week's gathering, usually on the ridge above Glenn Square. The shopping center's vacant lot is wet today, but a week ago, Shoemaker said, the kids were sledding down the hill and crowding a fire pit to make s'mores. Today, two young boys are watching a pair of ducks paddle around a pond while Shoemaker and I talk. "See down there?" she said as she pointed at the trees sprouting up in the springtime muck. "We're going to show the kids how to build emergency shelters later this spring." Participation is key — the more a kid puts into her project, the more she'll get out of it. Projects require planning, record-keeping and the ability to explain them. All of that blends together to show kids just how much they can accomplish. Shoemaker is constantly either plugging 4-H programs to community organizations, schools and businesses, or pursuing former members like me to get involved again. "I met with a young man today who rose up through 4-H at camps and other programs," she said. "Even though his family had many economic challenges, he studied hard and used his 4-H skills to gain an internship with the U.S. Navy, then jump-started a career as an engineer. I'm extremely proud of him."